In coherence with the history of the Firm, with the training criteria of its members and with the working method adopted, practice and specialist competences are cultivated within the framework of a vast and comprehensive culture and systemic knowledge. The activity of legal advice to the companies is aimed at ensuring a full coverage of their necessities, in particular in the field of the law of contracts and obligations; of commercial law, corporate law and bankruptcy law; of intellectual property law; of private international law, competition law and European Union law; of transportation law and maritime law; of banking law. The economic operations and the activities and situations in relation to which the Firm most frequently provides legal assistance include, by way of example: merger and acquisitions; drafting of companies’ by-laws and of shareholders’ agreements; private and public contracts, both national and transnational; project financing; joint venture agreements; licensing agreements; transfer of technology agreements; real estate transactions and financing. 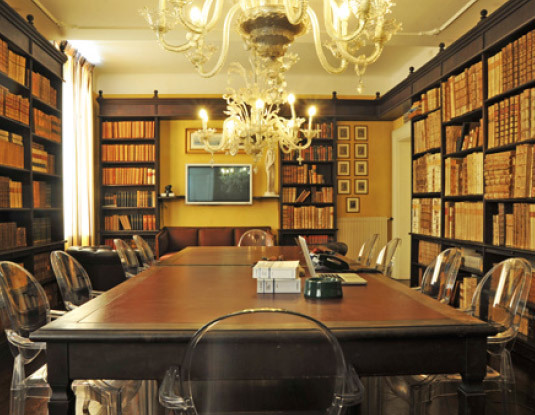 Whenever requested by the presence of peculiar interdisciplinary issues, the Firm, in order to ensure the most complete and accurate assistance to the client, avails itself of a network of consolidated collaborations with specialized lawyers and academics, both in Italy and abroad. Together with the activity of legal advice and assistance to companies, the Firm has always intensively operated in the various other branches of private law, such as family law and succession law, offering both judicial and extrajudicial advice and assistance, maintaining the features and the quality – also with regard to the personal and fiduciary relation with the client – of a traditional firm.